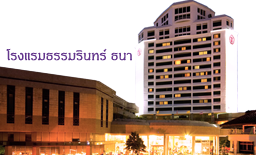 Perfect for either small meetings or grand conferences, Thumrin Thana Hotel caters for a meeting of 10 participants up to 2,500 participants. 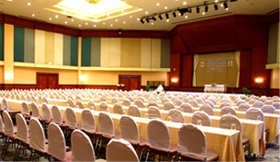 The hotel features fully equipped 14 meeting and conference rooms, especially, our Grand Ballroom was designed to accommodate 2,500 guests for a cocktail party or 140 round tables arrangement. 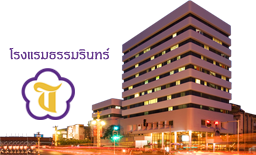 Our professional catering team and an experienced team of chefs specialised in Thai and international cuisines are at your service. 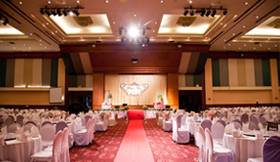 Let us take care of both your business events and your memorable moments, such as, wedding reception, exclusive parties etc. 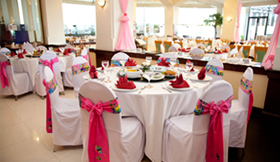 Our long experience in hotel industry and our caring team will do everything possible to make your event extraordinary.